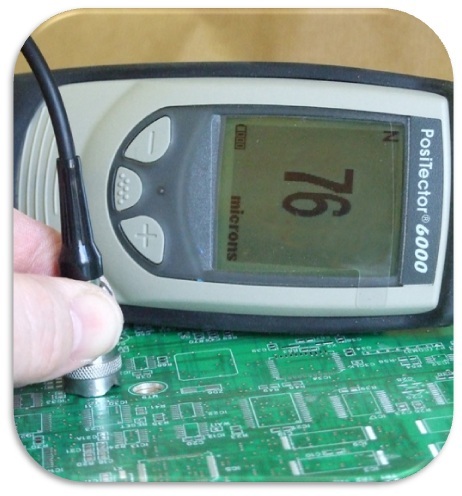 SCH Technologies provide a range of equipment for conformal coating process control. The control of the whole coating process when applying materials like conformal coatings is critical to a successful solution and long term reliability of the product or circuit board. The first factor that can be critical is the cleanliness of the Printed circuit board (PCB) which may require some cleaning method to improve the coating finish such as an aqueous cleaning process. Therefore, test methods such as ionic contamination testing and dyne surface energy pens can be utilised to help control this. Control of process application factors like viscosity, temperature and humidity also ensure that the best results are achieved for the conformal coating on the printed circuit board. Therefore, viscosity cups, viscometers and temperature and humidity monitors are critical to be included in the process. Finally, After the coating is applied then it is important to be able to measure the coating performance through coating thickness measurements and adhesion tests. Ultimately, if the coating has been put on to the right specification then it should perform if correctly chosen. If you’re planning to purchase a piece of equipment from SCH please check for the exact details of the system and dimensions if critical. The dimensions shown in all brochures are subject to change between publication dates.